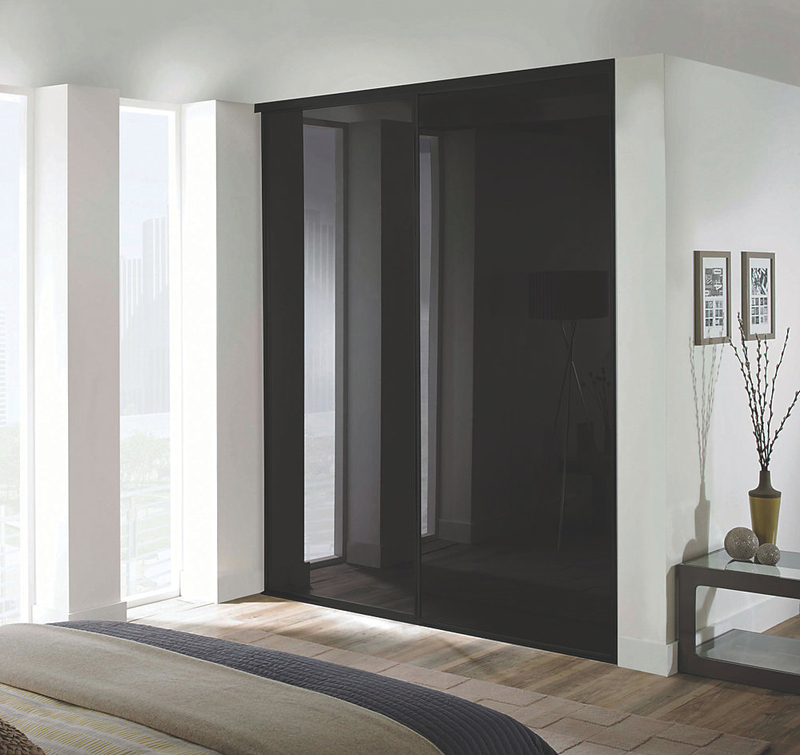 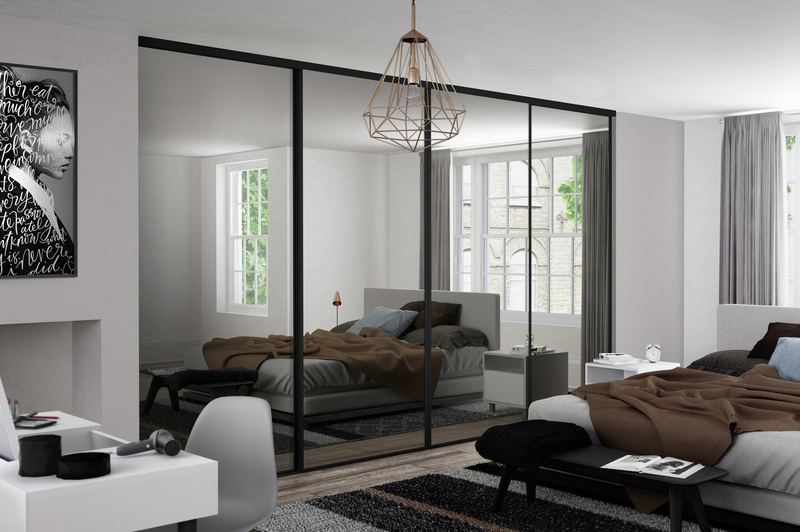 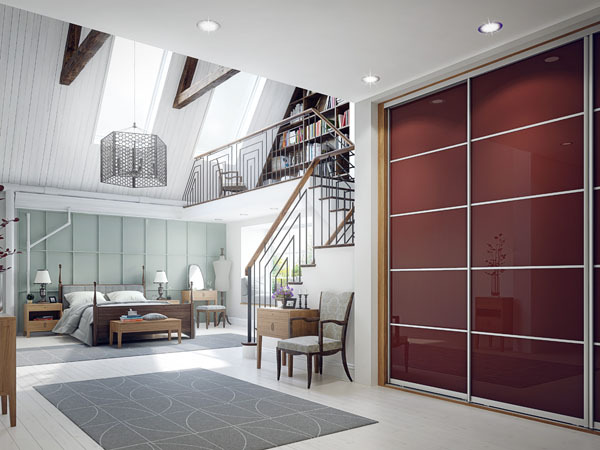 Angled Sliding Wardrobe Doors for use under stairs, or under the eaves of sloping roofs. 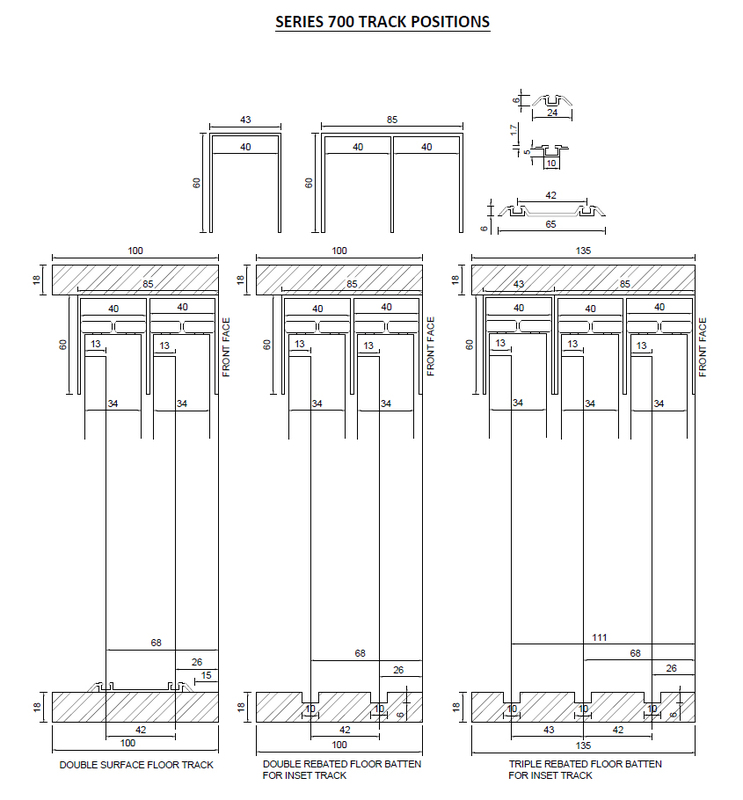 S700 Angled has all the options of the normal S700 doors. 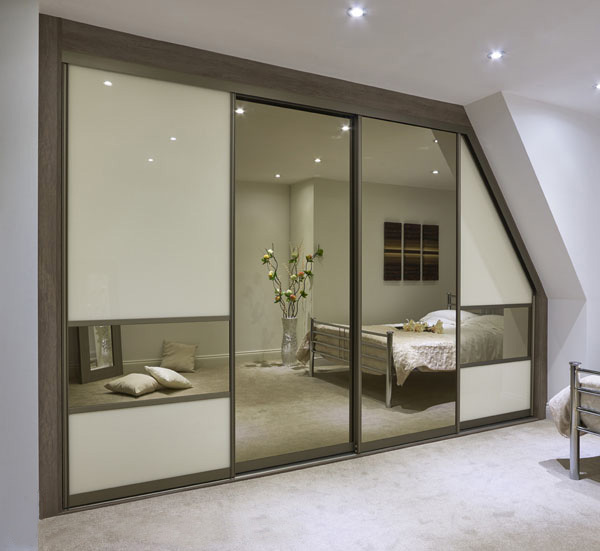 They can be supplied as a ‘part angled’ door (where just one top corner is removed), or ‘full angled’ (where both top corners are removed). 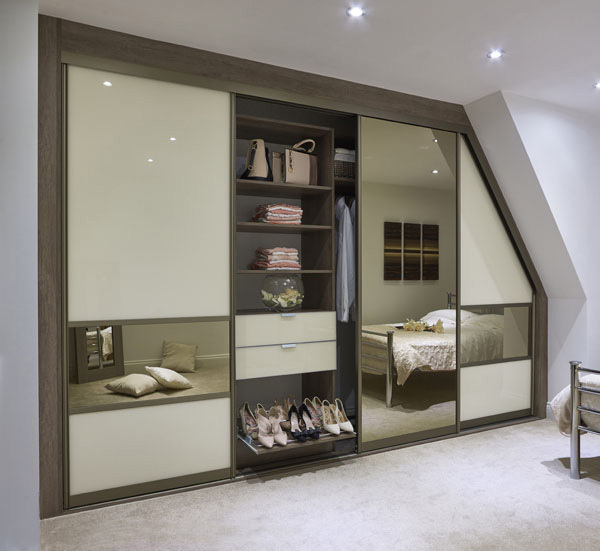 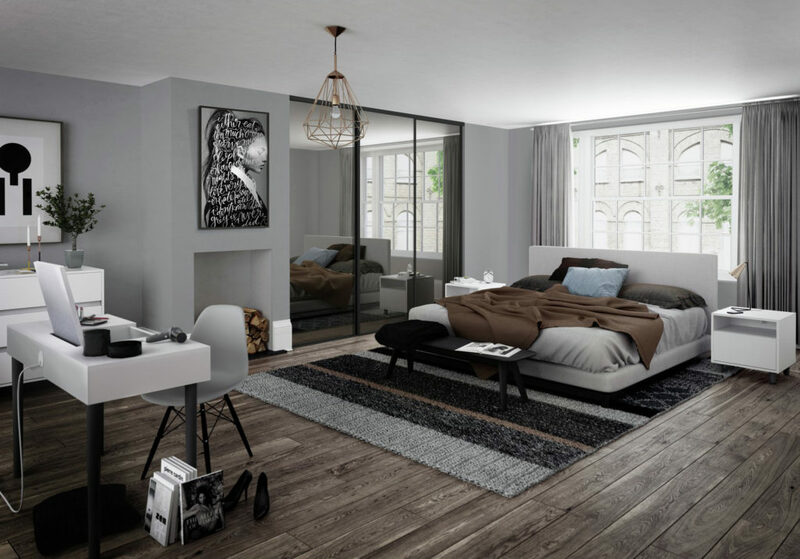 When required, angled doors will be supplied with an extra track and guide system that needs to be fixed to a shelf inside the wardrobe. 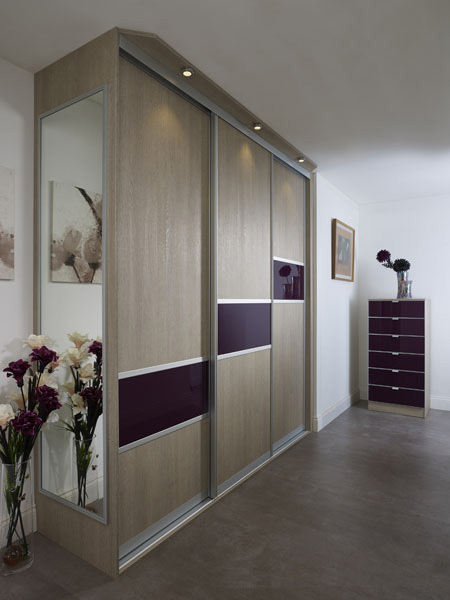 There is a door surcharge of £130-180, depending on width, for each angled door. 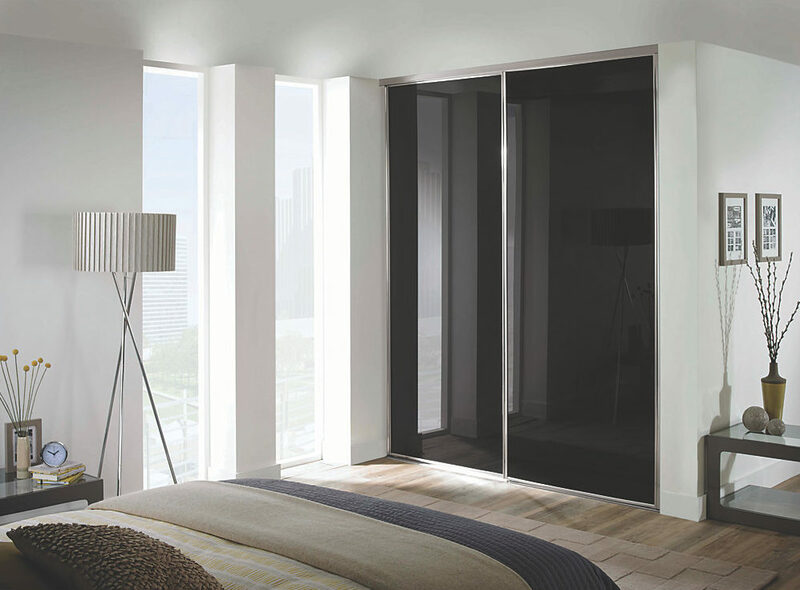 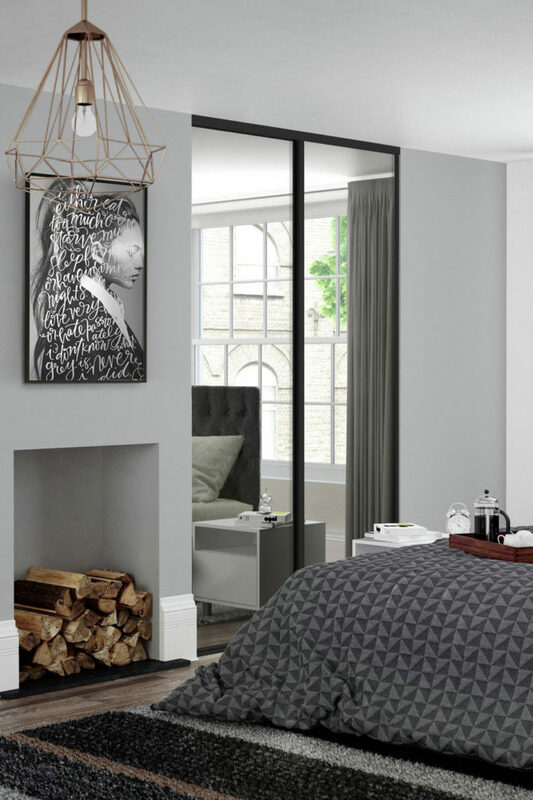 Door images in this window are only intended to provide a visual 'approximation' your wardrobe. 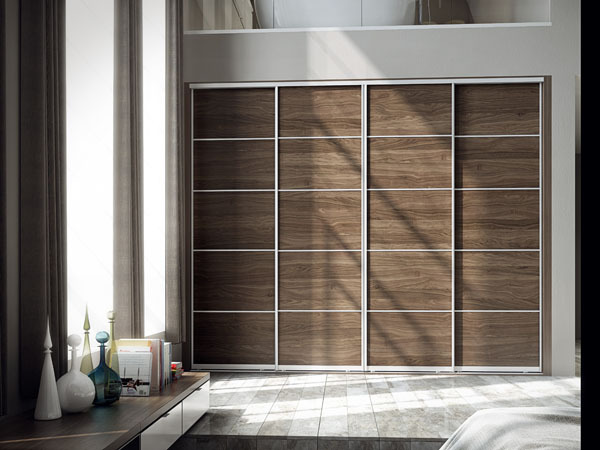 For more photorealistic representations, please review our image and panel finish galleries. 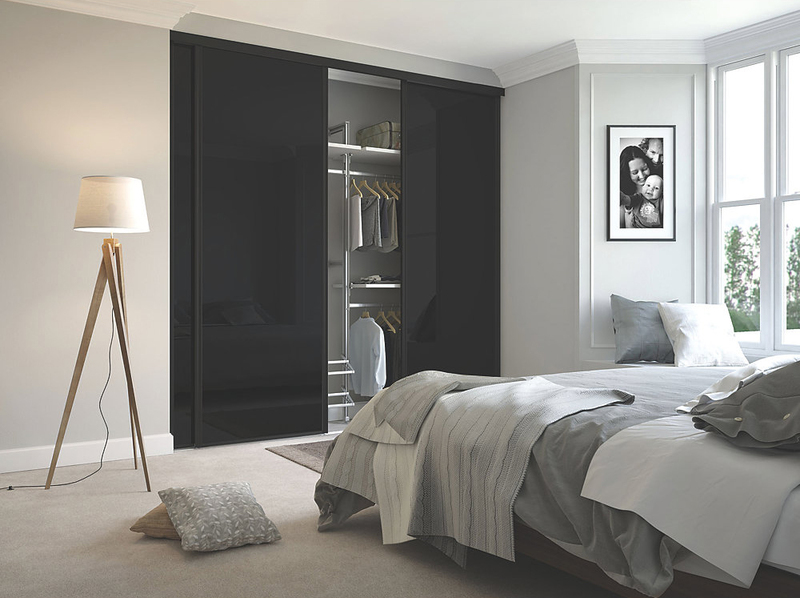 © 2019 Sliding Wardrobes Ltd. 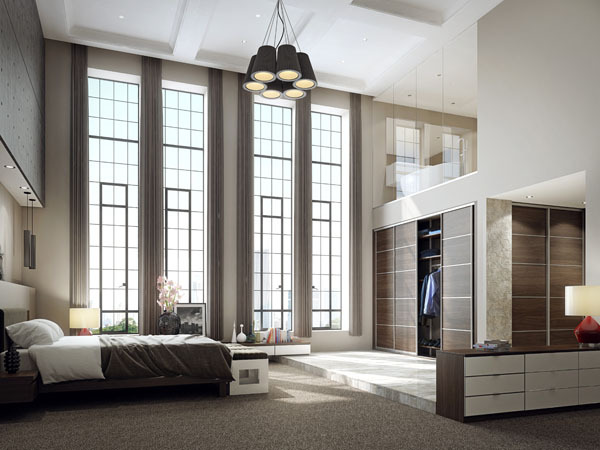 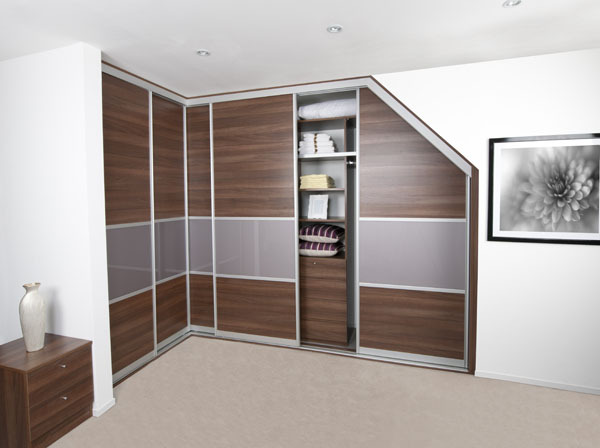 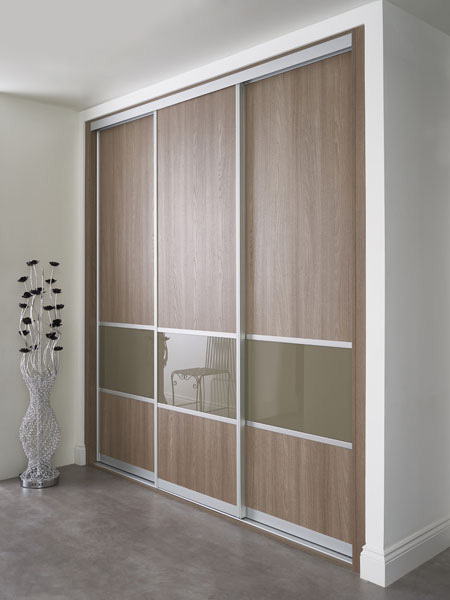 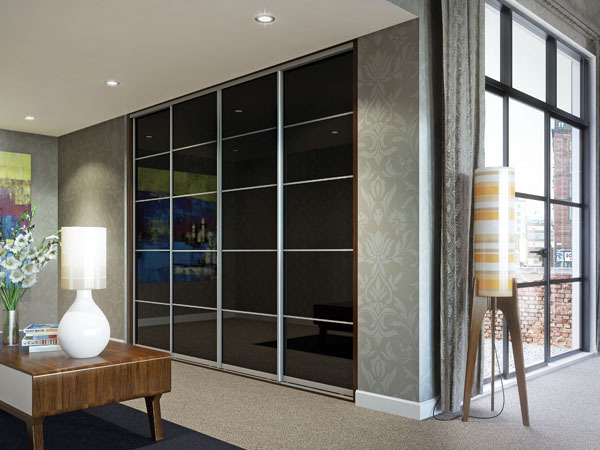 Sliding Wardrobe World is a trading name of Sliding Wardrobes Ltd.